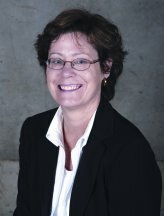 Professor Marcia Valiante teaches courses in Canadian Environmental Law, Municipal Law, Land Use Planning Law, and International Environmental Law. Her research and publications cover a range of issues in Canadian environmental law and policy, Canada-U.S. environmental relations with a focus on the Great Lakes, water law, and citizen access to environmental decision-making. She is a member of the Law Society of Upper Canada. She sits on the International Joint Commission’s Great Lakes Science Advisory Board and is active in the Detroit River Canadian Clean-up. In May 2007, she was appointed a part-time member of the Ontario Environmental Review Tribunal. Marcia Valiante, “Natural Resources and the Environment in the Constitution,” in L.I. Rotman, B.P. Elman, and G.L. Gall, eds., Constitutional Law: Cases, Commentary and Principles (Toronto: Thomson Carswell, 2008), pp. 539-580. Marcia Valiante, “Governance of the North American Great Lakes,” in O. Varis, C. Tortajada, and A.K. Biswas, eds., Management of Transboundary Rivers and Lakes (Berlin: Springer: 2008), pp. 245-267. Marcia Valiante, Interdependence and Coordination in the Canadian Environmental Policy Process,” in A. Breton, G. Brosio, S. Dalmazone, and G. Garrone, eds., Environmental Governance and Decentralisation (Cheltenham, UK: Edward Elgar, 2007), pp. 77-110. Marcia Valiante, “The Law of the Ecosystem: Evolution of Governance in the Great Lakes-St. Lawrence River Ecosystem,” (2007), 12(2) Lex Electronica (Université de Montréal). Marcia Valiante, “The Role of Local Governments in Great Lakes Governance: A Canadian Perspective,” (2007), 40(4) University of Michigan Journal of Law Reform, 1055-1085. Marcia Valiante, Book Review of Jamie Benidickson, The Culture of Flushing: A Social and Legal History of Sewage, (2007), 45 Osgoode Hall Law Journal 629-635. Jerry V. DeMarco, Marcia Valiante and Marie-Ann Bowden, “Opening the Door for Common Law Environmental Protection in Canada: the Decision in British Columbia v. Canadian Forest Products Ltd.,” (2005), 15 Journal of Environmental Law and Practice 233-255. Marcia Valiante, “The Role of Courts in Environmental Policy Innovation,” in D. van Nijnatten and R. Boardman, eds., Leadership in Canadian Environmental Policy (Oxford University Press), in press. Marcia Valiante, “Privatization and Environmental Governance,” in A. Breton, G. Brosio, S. Dalmazzone, and G. Garrone, eds., Governing the Environment: Salient Institutional Issues (Cheltenham, UK: Edward Elgar), in press. Marcia Valiante, “How Green is My Treaty? Ecosystem Protection and the ‘Order of Precedence’ under the Boundary Waters Treaty of 1909,” Wayne Law Review, in press. “Provincial Implementation of the Great Lakes-St. Lawrence River Basin Sustainable Water Resources Agreement,” at the Osgoode Hall Law School – Thomas Cooley Law School Symposium on “Current Issues in Water Law: The Great Lakes Compact and Agreement,” Toronto, May 2007. “Acting Locally: Protecting the Great Lakes through Managing Sprawl,” Wayne State University Law School, Wayne-Windsor Forum, Detroit, February 2007. “Water Conservation and the Great Lakes Sustainable Resources Agreement: Up to International Standards?” presented at the Michigan State University College of Law Conference on the “The Great Lakes Basin: International Law and Policy at a Crossroads,” Chicago, December 2006. “Controlling the Impacts of Urbanization in Ontario,” at the International Joint Commission’s “Great Lakes Conference,” Kingston, Ontario, June 2006. “Groundwater Law in Ontario,” at the Great Lakes Science Advisory Board Symposium on “Groundwater Protection in the Great Lakes Basin,” Lansing, Michigan, February 2006.